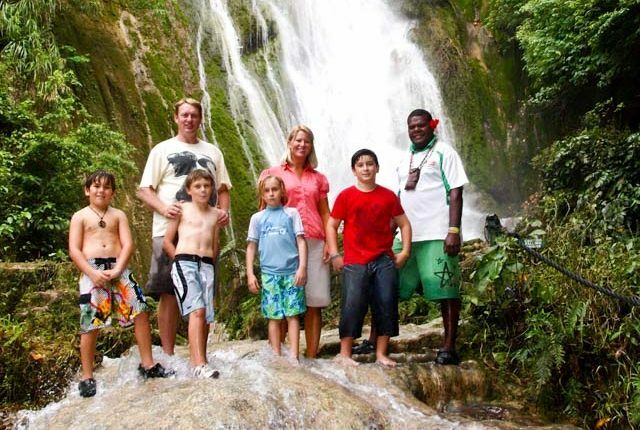 Visit Vanuatu’s famous Mele Cascades on this fully guided tour of the waterfall. 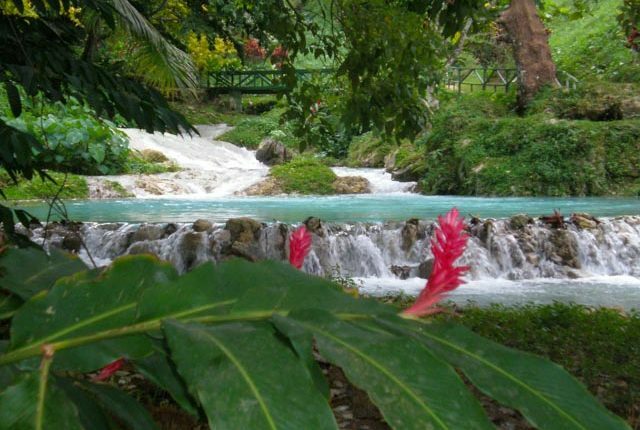 You guide will show tell you stories and about the local plants as you wander your way through the gardens up stream to the falls. You will stop on the way to take in the stunning views over Mele Bay and Hideaway Island. 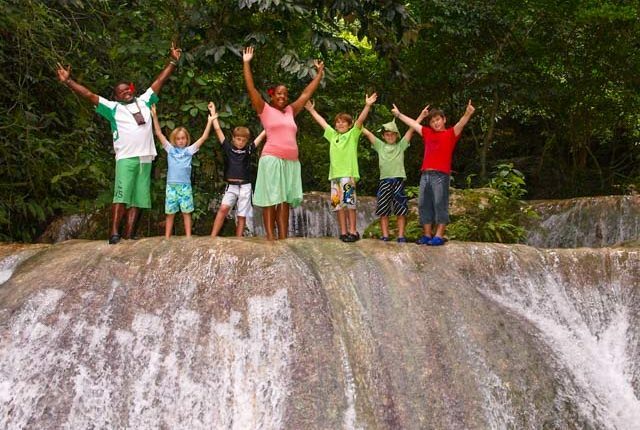 When you reach the top you can take the plunge into the rock pools and swim under the waterfall. When you return to the entrance area you will be offerd a cool drink and fresh local fruits. This tour is timed to be suitable as a shore excursion from the cruise ship. If you are staying in a hotel we have a similar tour designed for you. Please click here to see a description of that tour. The meeting point for this tour is at the Evergreen Office in Port Vila, please be at the office 10 minutes before these start times. The start point for this tour is the Evergreen office which is located in the Tana Russet building. Zoom in on the map below to find the exact location. The easiest way to get here from the ships is to take a water taxi across the bay to the jetty on the seafront near Namabawan (pronounced No#1) Cafe. You can then walk around the new walkway to the Fatumara park and the Evergreen office is just across the road in the Tana Russet shopping centre. Or you can grab a road taxi to take you there.